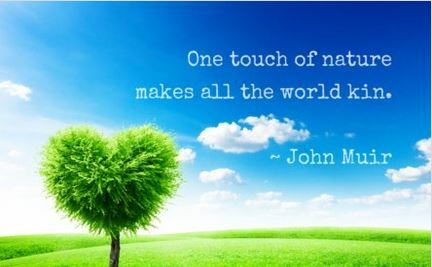 In the Shaklee family, everyday is Earth Day. That’s just the truth. Eco-pioneers from the Corporation to its Distributors to the everyday people who use their products. If you’re using Shaklee products, you are contributing to a less toxic planet. As someone who cares about the environment, you might be interested in all of the other “holidays” that pay tribute to Mother Earth in one way or another. Every day is always the right occasion to not only share what Shaklee has to offer in making our world a better place but bask in the “green” in all its glory. Here’s a list of over 50 green holidays you could celebrate virtually every day. Note: This week is also Dark Sky Week and National Parks Week! We’re also in the United Nations Decade of Education for Sustainable Development (2005-2014), Water for Life Decade (2005-2015) and United Nations Decade on Biodiversity (2010-2020). Ecological Debt Day (Earth Overshoot Day) – August 20 in 2013 but changes. It’s the (claimed) approximate calendar date on which humanity’s resource consumption for the year exceeds Earth’s capacity to regenerate those resources that year. Since 2001, Overshoot Day has moved ahead by an average of three days per year. Previous Previous post: Dan & Janeen, Shaklee 180 Success!